Kelly O’s Pizza opened in Mt. Carmel on December 1, 1998. Kelly and Sheila Savage of Carmi, IL own the business. Kelly was working as a carpenter while also doing a lot of local catering jobs alongside his brother and father. Kelly had always dreamed of opening a restaurant of his own. After working closely with the Dimaggio Family in Carmi he had received good ol’ Italian training in crafting delicious pizzas. Kelly and Sheila began looking for the perfect small town in Southern Illinois to start their business and decided on Mt. Carmel. This local business originally started serving their pizza to the public in conjunction with a sporting facility, formally known as Ester’s Pizza. After an overwhelming response from the public they purchased a building and began remodeling. Within a short time Kelly O’s Pizza on Market Street was born. Over the years Kelly O’s has continued to grow and prosper in Wabash County. Kelly commented, “We have met a lot of nice people and made a lot of good friends, it feels like home to me.” The establishment has a variety of tasty products available to the public by dine-in, carry-out, and delivery. Kelly O’s has a taste that is very deliciously unique and Kelly credits that to his red pepper strips and of course, the sauce! 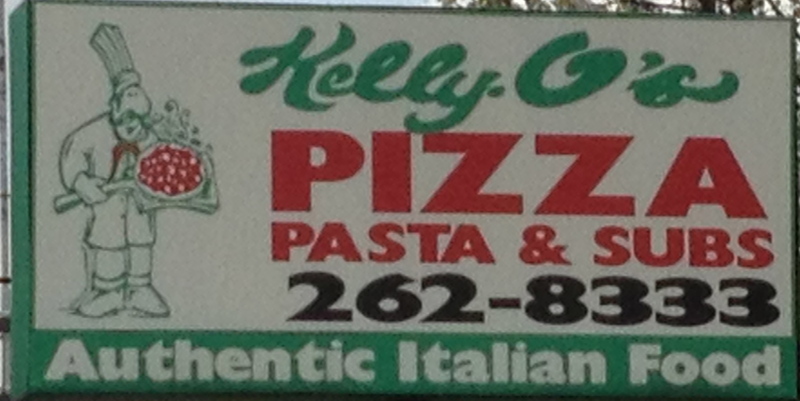 Kelly O’s offers pizza, pasta, appetizers, sandwiches, and more. Daily lunch specials are also available at a very reasonable price. All pizzas are cooked to perfection in brick ovens, using only the finest of fresh ingredients. There are many other local favorites besides pizzas, such as the “Baked Spaghetti”, “Spicy Italian Beef”, and “Kitchen Sink Sandwich”. If you have yet to try some of Kelly’s favorites we encourage you to make that part of this week’s dinner plans! Kelly and Sheila want to welcome all new customers, while thanking all of you who have continued to support them throughout the years. We would like to congratulate Kelly O’s on many years of successful business in Wabash County and wish them many more to come.